This piece was originally posted on the United Kingdom Constitutional Law Group Blog, and is reposted here with thanks. In October 2011 the Supreme Court delivered its long-awaited ruling in Axa General Insurance v Lord Advocate  UKSC 46. Although the ruling was of primary importance to Scottish law – see, for instance, its liberalisation of the rules on title and interest/standing – the challenge to the Damages (Asbestos-related Conditions) (Scotland) Act 2009 that had been enacted in the face of Rothwell ( UKHL 39) was of considerable interest in Northern Ireland too. This was not just because the Northern Ireland Assembly had enacted parallel legislation in 2011, but also because it was expected that the Supreme Court would address complex constitutional questions about the nature of the powers of the three devolved legislatures. When it finally did so, the Court made clear that the devolved legislatures are not legally sovereign but that they are, nevertheless, democratically legitimated bodies that will attract only very limited judicial scrutiny outside the terms of their constitutive Acts.The central issue in the case was whether the Damages (Asbestos-related Conditions) (Scotland) Act 2009 was ultra vires the Scotland Act 1998, s 29(2)(d) by reason of being a disproportionate interference with ECHR, Article 1 of Protocol rights of the appellant insurance companies. The appellants’ submissions on this point failed because the Supreme Court was of the view that the legislation had been introduced to remedy a social injustice and because, in those circumstances, a court should interfere with the “public interest” choice of a legislature only where the choice is “manifestly unreasonable”. This, in turn, might have been dispositive of the case as it was noted that a further challenge based upon common law irrationality would inevitably fail if the Convention threshold of manifest unreasonableness could not be met (see para. 42 of Lord Hope’s judgment). However, rather than leave the matter there, the Court took the opportunity to elaborate upon the nature of the common law limitations that can apply to Acts of the Scottish Parliament. It is in that context that Axa is most relevant to Northern Ireland. The Court developed two main points about the common law. The first was that common law irrationality does not lie as a ground for review of Acts primarily because of the constitutional nature of the Scottish Parliament. While Lords Hope and Reed emphasised that the Scottish Parliament is not legally sovereign in the sense that the Westminster Parliament is, they equally emphasised that the broader design of the Scotland Act 1998 entails that the powers of the Scottish Parliament cannot easily be compared to those of other recipients of delegated powers. Lord Hope thus said at paragraph 46 that the Scottish Parliament is a “self-standing democratically elected legislature. Its democratic mandate to make laws for the people of Scotland is beyond question”; and Lord Reed similarly noted that “(w)ithin the limits set by section 29(2) . . . its power to legislate is as ample as it could possibly be: there is no indication in the Scotland Act of any specific purposes which are to guide it in its law-making or of any specific matters to which it is to have regard” (para. 146). Against that background, it was thought that it would be inappropriate for unelected judges to use common law irrationality (or unreasonableness or arbitrariness) as a means to second guess the preferences of a democratically elected Parliament (albeit that Lord Mance was less absolute in his conclusions: see para. 97). The second point was that the common law could be expected to intervene where the Scottish Parliament legislated in such a way as to threaten the rule of law as the cornerstone of the UK constitution. For Lord Hope, this was something that could occur where executive dominance of a legislature might allow a government to introduce legislation purporting to “abolish judicial review or diminish the role of the courts in protecting the interests of the individual”. Referring to Lord Hailsham’s famous words in The Dilemma of Democracy and Lord Steyn’s comments in Jackson, his Lordship noted the increasing influence of a single party in Holyrood and said that “the rule of law requires that the judges must retain the power to insist that legislation of that extreme kind is not law which the courts will recognise” (para. 51). Lord Reid likewise identified values that he thought the Scottish Parliament could not abrogate, where he took as his starting point the interpretive presumption that prohibits recipients of power from acting contrary to common law fundamental rights save where the Westminster Parliament has expressly authorised that outcome. On this basis, his Lordship said that the Scotland Act 1998 is legislation “for a liberal democracy founded on particular constitutional principles and traditions … [Westminster] cannot be taken to have intended to establish a body which was free to abrogate fundamental rights or to violate the rule of law” (para. 153). So, what does this all mean for the Northern Ireland Assembly? Certainly, the Supreme Court’s recognition of the need for heightened caution when courts are engaged in common law review complements earlier Northern Ireland jurisprudence on the legality of Orders in Council made under the Northern Ireland Act 2000 (the Act, now repealed, applied when the Northern Ireland Assembly was suspended). Such Orders are the constitutional equivalent of Acts of the Assembly, and the Northern Ireland courts refused to become involved in review processes that would have led them to consider the underlying policy of particular Orders (see, for instance, Re Carter’s Application  NIQB 15). Axa, in that sense, has provided indirect confirmation that the Northern Ireland case law was correctly decided and that the courts were right to refuse to strain democratic principle. In contrast, the understanding that the Assembly is not legally sovereign is essentially unremarkable, largely because debate in Northern Ireland has long been concerned more with ideas of political sovereignty and the so-called “consent” principle that underpins the Belfast Agreement of 1998. According to that principle – which finds legal expression in the Northern Ireland Act 1998, s 1 – Northern Ireland is to remain as a part of the UK for so long as a majority of its electorate wishes it do so. 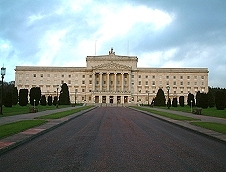 However, while that situates the Northern Ireland Assembly within the UK’s constitutional structures, section 1 also provides that the Westminster Parliament will legislate to give effect to a majority electoral decision that Northern Ireland should cease to be a part of the UK and should form part of a United Ireland (see, too, Article 3 of the Irish Constitution, 1937). The Northern Ireland Act 1998 has therefore never really been regarded as something that can/should sustain a legally sovereign legislature, even if the Act has been described as a “constitutional statute” (see Robinson v Secretary of State for Northern Ireland  UKHL 32). It has instead been viewed as an Act that accommodates a delicate political accord that may later place Northern Ireland in a different sovereign setting altogether. More complex is the position in respect of executive dominance and fundamental rights. Taking first the peril of executive dominance, the Northern Ireland Assembly is already characterised by such dominance given the consociational model of governance that defines the Belfast Agreement and Part III of the Northern Ireland Act 1998. 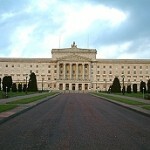 That said, such dominance is several steps removed from the kind that concerned Lords Hailsham and Steyn, as the Northern Ireland Executive presently comprises Ministers from five political parties who must work together within a framework of elaborate checks and balances (both as apply to the Executive and within the Assembly). While it is, of course, theoretically possible that the Executive could pilot legislation that would seek to abolish judicial review, this would require a level of political co-operation on a controversial issue that would escape all previous experience in Northern Ireland, not to mention the checks and balances. To return to Lord Hope’s observation about the increasing influence of a single party in Holyrood, the absence of any related dynamic in the Northern Ireland Assembly perhaps limits the reach of his point about executive dominance. Indeed, it might even be said that legislation to abolish judicial review in Northern Ireland could be enacted only in the highly improbable circumstance that almost all parties to government simultaneously opted to jettison the rule of law. Lord Reed’s comments on fundamental rights do, however, have a more immediate resonance in Northern Ireland, as the Robinson case had earlier established the importance of interpreting the devolution Acts in the light of the values that they embody (Robinson was concerned the interpretation of provisions on the election of the First and Deputy First Ministers: Lord Reed referred to the case at para. 153). So will this lead to the development of a more nuanced body of case law on the values of democracy, equality and rights that are generally said to inform devolution in Northern Ireland? Probably not, as the fuller thrust of Axa points away from ready judicial engagement with the legislative choices of the Assembly save to the extent that they are argued to contravene the Northern Ireland Act 1998, s 6(2)(c) (the equivalent provision of the Scotland Act 1998, s 29(2)(d)). That said, ongoing political debate about the future of the Human Rights Act 1998 does suggest, at its most extreme, that the Act might be repealed and replaced with one or more of a number of Bills of Rights. In that event, ss 6(2)(c) and 29(2)(d) would become redundant on their current terms and they would have to amended to accommodate any new rights reality. Should that reality leave constitutional gaps, Axa’s potential for common law intervention might quickly be realised. Leave a reply on "Axa – A view from Northern Ireland"